Matchless igniter burners. Stainless steel construction. Nonstick enamel cooking surface. 2 oven racks. Powered by a disposable 1 lb propane tank. Can be adapted to use a bulk tank. 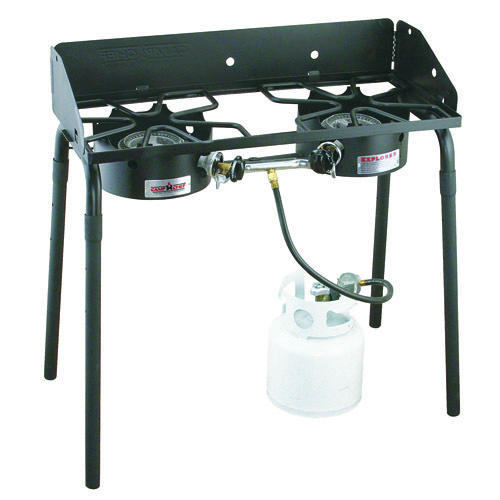 Multi-purpose full size collapsible propane stove with two 30,000 BTU burners, removable legs, and propane tank attachments. 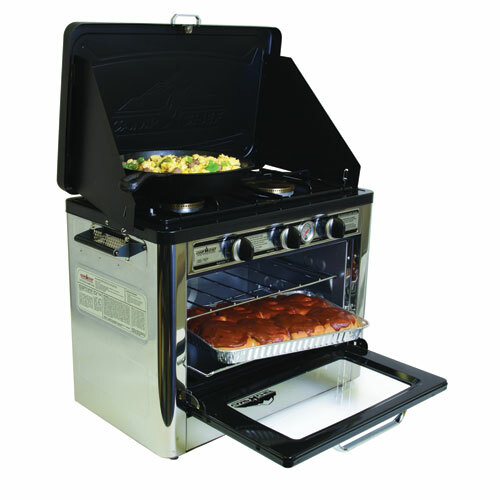 Ideal for camping, patio, pool side, deck, parks and beaches. Matchless igniter burners. Stainless steel construction. 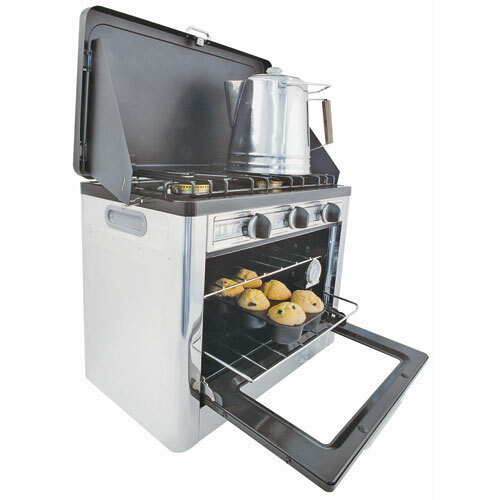 Nonstick enamel cooking surface. 2 oven racks. Powered by a disposable 1 lb. propane tank. Can be adapted to use a bulk tank. 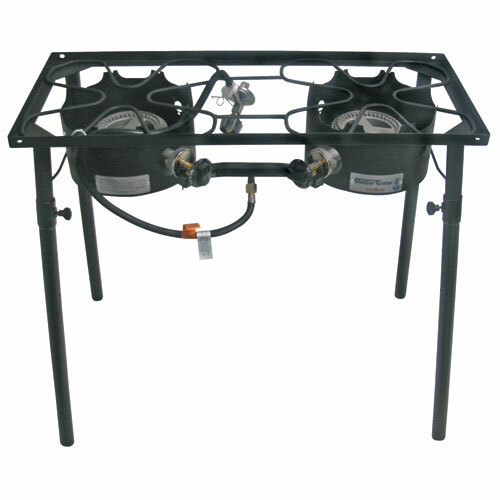 This stove has two cast aluminum burners that focus heat upwards, a 3-sided windscreen, and adjustable legs.